Customer experience is probably the hottest trend in digital right now. One need only observe the martech vendors falling over themselves in the rush to reposition as customer experience platforms to know that marketers are sold on the idea of CX optimisation. This was going to be a rigorous test of another specific UK fashion retailer’s paid search strategy, through to landing page and eventually checkout. Essentially a complete ecommerce journey from the customer’s point of view. But then I was bombarded with LED festooned Christmas tree jumpers, wool sweaters featuring Santa with a fake wobbly Santa belly and pullovers with Rudolph’s glowing red nose and things went dramatically off-course. 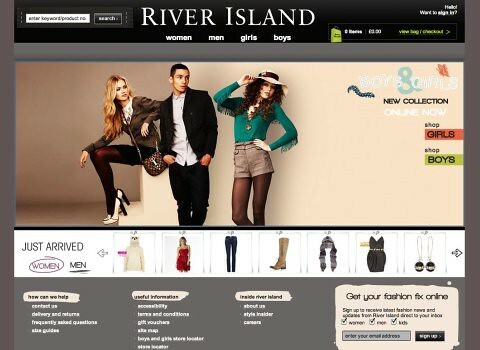 Fashion retailer River Island relaunched its website last month, with a more accessible and usable version replacing the all Flash website which has been in place for the last few years.